The German auto industry’s still rankled by Volkswagen’s colossal, very purposeful screwup in the form of Dieselgate, and now the nation’s automakers are scrambling to deal with allegations of running a cartel to fix prices as far back as the 1990s. The Financial Times put together a helpful explainer on the situation, and revealed some eye-popping potential fines that VW and Friends could face. The core accusations, first reported by German magazine Der Spiegel, involve VW holding secret meetings with Daimler and BMW, with the intention of colluding on everything from technology to components. At this point, no one’s talking, with BMW only issuing a brief statement that reportedly said it’s not unusual for automakers to work on some components, so long as they “do not contribute to differentiation of the two brands and are therefore not relevant to competition”. EU cartel fines are determined by (i) the annual revenue of the product in question; (ii) the duration of the infringement; and (iii) the gravity of the offence. 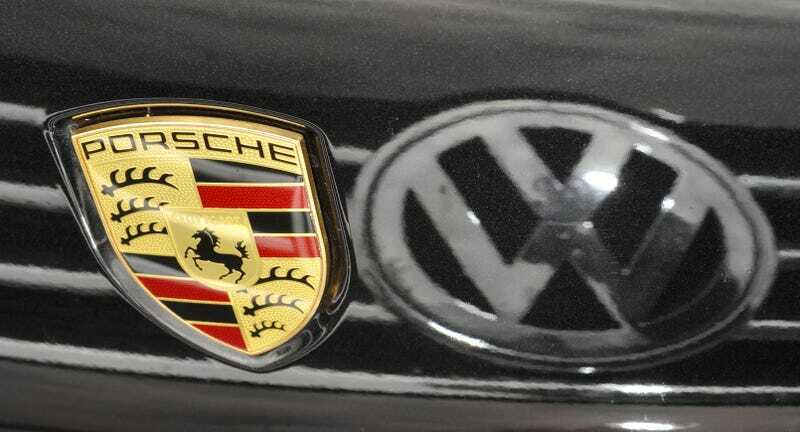 There is a maximum cap of 10 per cent of global revenues — equivalent to €8bn for BMW, €14bn for Daimler and €19bn for Volkswagen, according to analysts at Exane BNP Paribas. Leniency is a big factor. Some companies have escaped a fine by self-reporting. A similar approach could reduce any fines for the German carmakers. Spiegel reported that VW and Daimler had self-reported themselves in this case. This has been confirmed by VW, while Daimler has declined to comment. Dieselgate has already cost VW $25 billion and counting, and that $19 billion figure translates to an additional $22 billion in potential fines, if the EU decides to throw the book at the carmaker. VW says it self-reported, which may help it escape a fine, as the report suggest. But if this latest scandal bears fruit, and VW’s found at the center of everything, it could be forced to absorb a gargantuan sum. The automaker’s still looking to recover some goodwill for the never-ending Dieselgate saga—a disastrous, self-inflicted disaster that has resulted in numerous criminal charges—and I’m just not sure a new Microbus or an onslaught of new EVs can help anymore.